Over the years, new storefronts and businesses have moved into Vestergade, and DIS has expanded with a few new classroom buildings. However, even with a few changes, there’s no doubt that DIS and our old charming buildings are recognizable from years and decades before. That’s why our alumni often saunter into our buildings, excited to be in Copenhagen once again, and curious to see and hear about today’s DIS study abroad experience. Back in October, we were lucky to meet Kevin Walsh and Fred Brøns, who lived together as a DIS homestay back in the spring of 1992, with Kevin as the DIS student and Fred as the homestay host brother. We jogged their memory back to that spring to hear some reflections of their intercultural exchange, and how their friendship has evolved since. 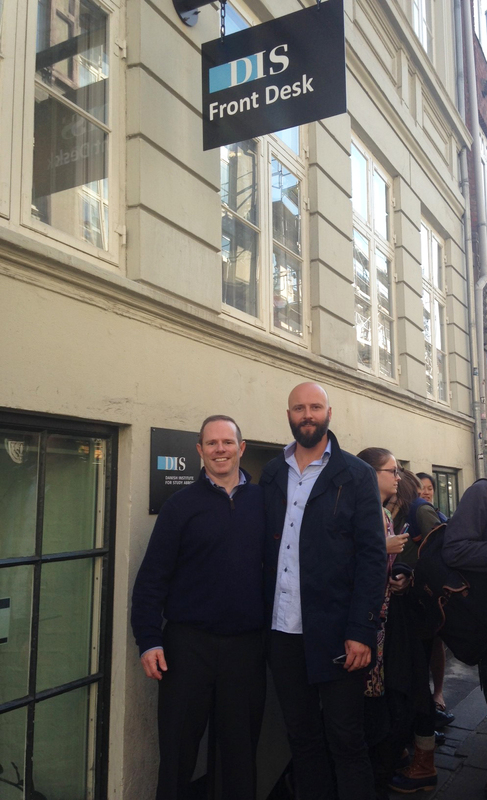 Kevin & Fred pose in front of a DIS sign on Vestergade, taken during Kevin’s visit in October 2014. DIS: Let’s go back to the spring of 1992. Kevin, why did you initially decide to come study in Copenhagen at DIS? Kevin: My father worked for the U.S. State Department and traveled abroad a few times a year. I was always fascinated by the stories he shared with us when he returned from a trip. Being from a rather large family (four brothers and two sisters) we did not have the opportunity to travel overseas very often (actually never). When I went to college I saw the opportunity to travel and learn more about the world through an international studies program. My parents strongly supported and encouraged me to take advantage of the opportunity to study abroad. Denmark sounded like a great place to live for a few months (and it really helped that classes were taught in English). DIS: Kevin, what were the highlights of your semester? What was your impression of Denmark? Kevin: Looking back 22 years later, the things that stick out the most in my mind were my Danish host family, trips around Denmark and Europe, and learning about the European Union and the debates over the common currency. Denmark was a very welcoming, clean and modern country. DIS: Fred, by the time Kevin had become your DIS student, you and your parents had already hosted students. What influenced your family to host students? 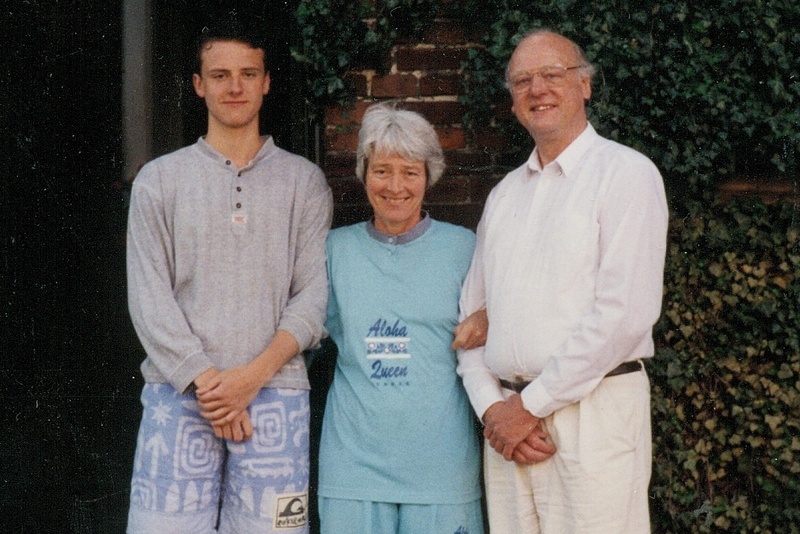 Fred: I had lived in Palo Alto, California for a year in 1986/87 with my parents and to keep my English fluent and the connection to the U.S. it was natural for us to become a host family. I am my parent’s only child and Kevin was like having a brother living in the house. Kevin was only our third DIS student, but after him I think my parents hosted six or seven more. DIS: Fred, how did DIS students living in your home and sharing in family traditions affect you over the years? Fred: For the time being the DIS students became true members of our family, and a few of them like Kevin are still in touch with me and my parents. It broadened my knowledge of American culture from all of over the U.S. and improved my English. DIS: Kevin, how do you think back on your time abroad as a DIS student now? Kevin: I think very fondly about my time abroad as a DIS student. One of my classmates was in my wedding party and is still one of my closest friends today. Studying abroad was one of the most amazing experiences of my life. I met some great people, learned how to adjust to and be respectful of different cultures, and had a fun time in the process. In many ways, living abroad helped prepare me for the global company that I run today. DIS: Kevin, how do use your study abroad experience and intercultural exchange to navigate your international work, as the president of your company? Kevin: I definitely use my study abroad experience and intercultural exchange to navigate my international work. From the lessons I learned about international flights, to using public transportation in a foreign country, to finding a way through a city where English is not the primary language, my study abroad experience from 22 years ago continues to help me today. 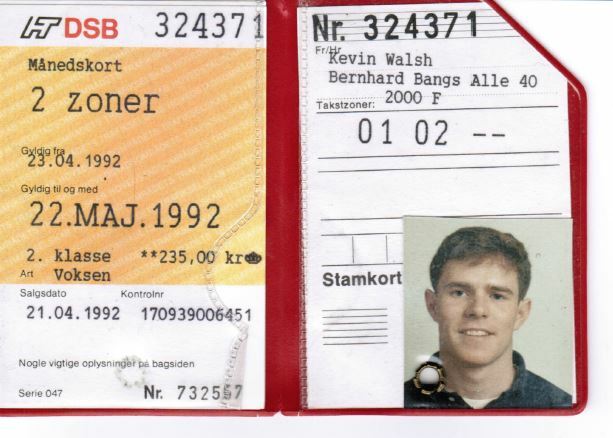 Kevin’s bus pass from when he was a student in ’92. DIS students today are issued a transportation pass, very similar to this one. DIS: Kevin, you actually visited Denmark in 1998 – but now there has been a long stretch of time since. what was it like to come back to Denmark and visit with your homestay after 15 years of being away? Kevin: Visiting my homestay after all of these years was fantastic. It was very nice to see my Danish parents and catch up with them. They are very special people in my life. I have kept in touch with Fred through the years, but to see him in person again and meet his wife and children was truly awesome. It is nice to see how much Copenhagen has changed, and at the same time, to see how many things stayed the same. It is always fun to reminisce, especially about such a great experience so many years ago. 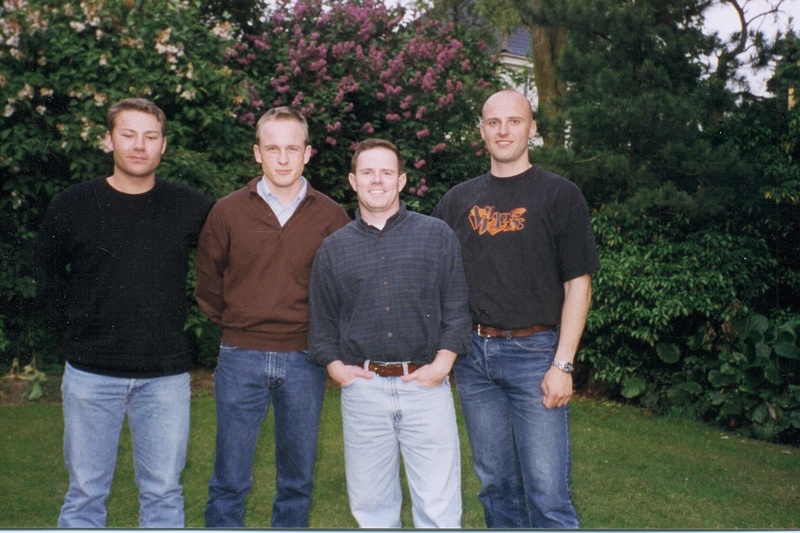 Kevin also came back to visit his Danish friends and homestay four years after his time abroad, in 1998. DIS: Kevin and Fred, you are now collaborating on a website project. How is it to work together now on a professional level? Kevin: Working with people I know and trust has always been important to me, but I never thought we would have the opportunity to work together. It is nice to see Fred’s talents in action. Since we know each other so well, it makes the project move more efficiently. Fred: It is a special satisfaction to work with Kevin, and a great pleasure. It gives us an opportunity to meet and enjoy our company, while being professional. DIS: Fred and Kevin, what advice can you give to current students who are living in a homestay? What’s the best way for both a student and host family to dive in and transcend cultural barriers? Kevin: I think it is important to get to know each other through a common shared interest. It helped that Fred and I are close in age, but we also had several interests in common. I remember getting to know each other while going for a run around town and while having meals together with his family and friends. Fred: I agree with Kevin, it is important to make the effort and spend time together so you get to know each other. But it was easy with Kevin as we hit it off from the first day. As a host, you just need to be open minded. DIS students are usually pretty cool people. Previous The Christmas Countdown – 10 Amazingly Danish Holiday Traditions!